Very few investments pay for themselves over time as quickly as solar panels. 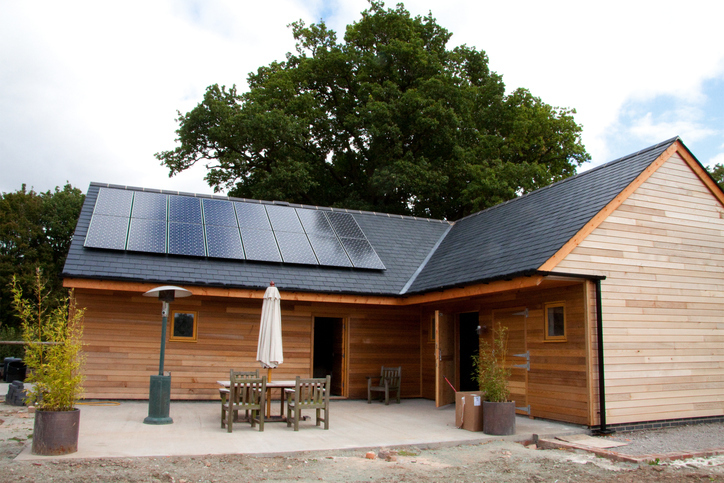 But do solar panels add value to your home? The short answer is yes. Solar panels often increase the value of a property by the full value of solar installation, giving homeowners another incentive to invest in solar power. We’ll dive deeper into how much solar power can increase your property’s value and what variables come into play. Why Are Solar Panels Valuable? If you’re about to install a solar system on your home, you may often hear the term “solar payback.” Solar payback refers to the amount of time it takes for your solar system to pay for itself through energy savings. For most homeowners with well-exposed roof space, solar payback is a virtual guarantee. 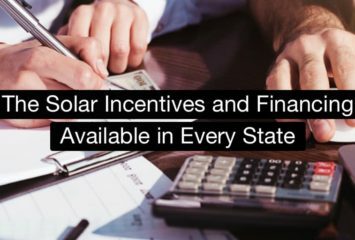 After accounting for generous state and federal tax breaks and subsidies, most solar systems pay themselves off after just a few years and continue to reduce energy costs for many more years. You may be hesitant about investing in solar if you aren’t staying in your home for very long, but you can still benefit from solar when selling your home. How Much Do Solar Panels Increase Home Value? In a comprehensive study conducted by the Lawrence Berkeley National Laboratory (Berkeley Lab) in 2015, the exact value of a solar installation was determined using home sale data from eight different states across more than ten years.2 The study concluded that there’s a very strong correlation between solar panels and higher home values, with some variation per region. With added solar systems, Californian home values rose the most, but there’s a significant increase in property values for other states as well. An average system size for the US is 5 kilowatts, or 5,000 watts.3 The Berkeley Lab’s data showed a rise in property value of approximately four dollars per watt in California and three dollars per watt elsewhere.4 The data showed that an average system increases a home’s property value by about $16,000 in California and $12,700 elsewhere.5 Californians may see a higher value increase per watt, but with California’s greater cost of installation and greater income, the difference in value was not statistically significant from other states. Will You Get a Full Return on Investment When You Sell Your Home? Solar installations can involve a sizeable investment or a considerable loan, but, luckily, the increase to your home’s value makes up for the hefty initial cost. The most expensive solar installations in California average out to about four dollars per watt in cost. And because the average increase in property value is around four dollars per watt in California, your solar system could instantly pay for itself when you sell your home. However, the value of a single solar system does decrease over time. What Variables Affect the Property Value Increase? Berkeley’s study revealed some surprising and not-so-surprising trends about home value increases with solar systems. Overall, property value increases are very consistent across states, neighborhood types, home types, and solar markets. But some factors affected the average value of a home with solar. Berkeley found that, over time, your solar system’s value depreciates faster than your solar system’s efficiency. In the study, systems between six and fourteen years old had an average drop in value of 60%, even though these systems were still fairly efficient.6 However, solar can provide value in a different way—homeowners with older systems benefit monthly from lower energy bills. Smaller systems increase the value of your home more per watt than larger systems. In the study, this was called a “green cachet.”7 Prospective homebuyers consider any solar installation to be an asset. They’re willing to pay significantly for a home with a solar system, even if the installed solar system is relatively small. But the larger a system is, the less homebuyers will pay per watt, so a large system may not get you the most return when selling your home. There is a social aspect to home values for solar homeowners. Previous studies have found a correlation between more liberal political leanings and a higher solar premium. In other words, if your neighbors vote more liberally, they tend to also value solar panels higher than their red state counterparts.8 This should come as no surprise; the largest solar markets across the US are in liberal areas like California and the Northeast. How Will Solar Affect My Home? While the Berkeley Lab’s study represents the widest data set and most recent data analysis in solar home values, the findings may not apply to every individual home or area. The results are very robust at the national and state level, but individual characteristics in your neighborhood may vary considerably. Ask your installer about local trends and see if they can offer any insight into home value increases. If there’s a considerable solar market in your area, your installer should have their finger on the pulse. Solar is a very strong investment, no matter how long you live in your home. Your home’s value will increase, and you’ll begin saving money immediately on your electricity costs. Look into solar today and get a free quote.